I learned to play tennis on a court built by my Father in Langata, just outside Nairobi in Kenya, and there began a love affair with the sport that was further ignited on the hard courts of Tucson, Arizona where I played High School and Division 1 College tennis (at The University of Arizona, studying History and English) and continues today in my role as Director of Tennis for Halton Tennis Centre and founder of it's coaching brand and provider Everyball Tennis. 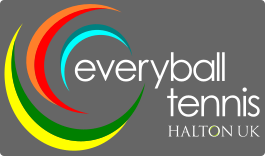 'Everyball' - Reflections, anecdotes and observations from a life in tennis aimed to tool you up for the game of life!' was my first booked published by Panoma Press in 2016. 25 plus years working in British Tennis has seen me work as a County Performance Officer for Bucks and Herts, National Performance Officer for Scotland, travel extensively across Europe and work with a number of top national and internationally ranked junior players, several going on to successful professional careers, either as players or coaches. I currently coach 22 year old Beth Grey, WTA 450 (as of August 2018) and rising steadily. Alongside my Director of Tennis role at Halton, I am also a lead tutor on the LTA's Level 4 Senior Performance Coach Qualification and a consultant to the Bucks LTA Junior County Training programme and other such organisations and clubs. In 2012 I became an NLP and Sport Psychology practitioner through Louise Deeley of 'Inside Performance' to add to my qualification as a Heart Math Coach through 'Beyond the Barriers' in 2011. In 2018 I was delighted to be offered the role of Deputy Chief Executive of Halton UK working alongside the current CEO Nick Leighton, Board and Leadership teams.